As the electoral fortunes of the Indian National Congress under the leadership of Rahul Gandhi goes bleaker every day, owing the the public disenchantment fast transforming into public disgust towards the entitled first family of the Congress which refuses to take any account of Public opinion and continues to stupidly drive the rhetoric-based campaign, they cling back the theme which has served the Family in all these years- Democracy is in danger. Today, parachuted into the leadership, Priyanka Vadra, wife of Robert Vadra charged with the major corruption during UPA, spoke of stepping into politics as a savior of democracy, projecting her own desperate move as some sort of act of benevolence towards the nation for which the unwashed masses ought to be eternally indebted towards her and the first family. Rahul Gandhi, arriving in Manipur claimed that the political plank for the party will be saving the democracy. This is in continuance to the campaign conjured up by the Congress in association with the communist with fact-less fashionista Arundhati Roy writing that the current regime is worse than Emergency. Yesterday, a bunch of young techies were arrested in Bengaluru for raising slogans in support of Narendra Modi during a Rahul Gandhi meet. These fake news creators supported amply by fake news peddlers work on the presumption that the Public is idiot and unaware of the past. 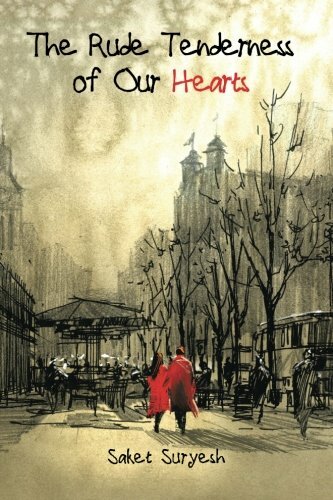 It is on the premise of short public memory that their propaganda is based. It is therefore important to know and remember our past. 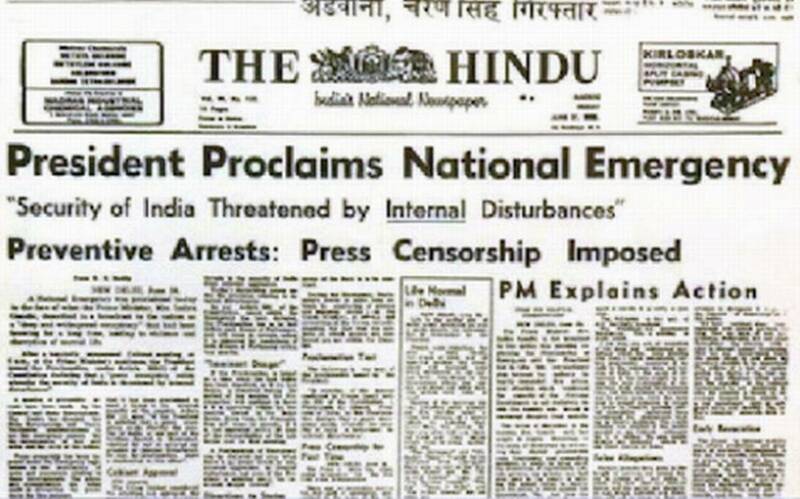 Emergency has been imposed thrice in India. Emergency was declared for the first time in India on 26th of October, 1962 by Jawahar Lal Nehru on the ground of external danger. Since the reason for the imposition of Emergency as put forth by Nehru was war with China, it ought to have been removed post the declaration of ceasefire with China. However, to the demand of the opposition seeking removal of emergency, Pandit Nehru responded in the parliament, "Emergency would last a considerable time, whether there is actual fighting or not." As Nehru, who was later painted and white-brushed by the family loyalists as defender of democracy, dragged feet on the question of revocation of Emergency, 1965 was with Pakistan came about. 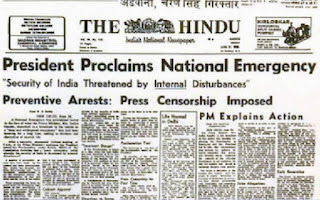 Eventually, in February 1966, 33 eminent Indians, including ex-judges and vice-chancellors of universities came together, under the leadership of Ex-Attorney General, Mr. M C Setalvad to urge Nehru to revoke the emergency which by then was four years old, calling the regime a constitutional dictatorship. Nehru, however, could be convinced of revoking Emergency only in the year 1968, two years after the war with Pakistan ended. Second Emergency was imposed by Indira Gandhi on the pretext of external danger due to Pakistan war, on 3rd of December, 1971. This again should legally have been revoked once the war ended, that is on 17th December, 1971. Mrs Gandhi, like her father, allowed it to continue till June1975, when another Emergency was imposed on 26th of June, 1975. The Constitution did not allow the President of India to impose overlapping Emergency proclamation (one on the account external danger to further be continued under the ground of internal disturbances). Anticipating challenges on account of Constitutional breach, a constitutional amendment (39th Amendment) was hastily brought in inserting Clause (4) to article 352, allowing the President to proclaim overlapping Emergency. - Government officer could make arrest of a citizen basis some information or material with him with the officer was not bound to disclose to the citizen. - The ground of arrest to be treated as confidential and not to be disclosed. - The arrested person too is not entitled to the disclosure of the grounds of arrest. This amendment also removed the applicability of Habeas Corpus to MISA detainees. The state government had the authority to free the detainee after examining the grounds of detention. However, as the matter stood, this was seldom the case. Out of 113 arrests in Goa, 1 was released; in Tamil Nadu, 1 out of 1027; in West Bengal, 1 out of 311; in Haryana, 5 out of 200; in Rajasthan, 8 out of 542; Gujarat, 188 out of 1655; Maharashtra, 98 out of 5473; in UP, not one person out of the arrested 6956 people was released. Similar was the case of Bihar where 2360 arrests were made under MISA. Around 4600 people were arrested in West Bengal under unnamed sections of MISA, apart from 311 under 16A. In total 34988 recorded arrests were made under MISA and 75818 arrests were made under DISIR during the third Emergency imposed by Indira Gandhi. When the leaders of such a party speak about defending democracy, without having the moral courage to denounce what they have done previously, they are forgetfulness of the citizens. They pretend as if their past never existed counting on the ignorance of the people. India has see not only one emergency, but three, all imposed and prolonged for dubious reasons by one party, only to perpetuate its stranglehold on Indian polity. One may argue as to why hold the current leadership to the mistakes of past leadership. The point is that the current leadership of Congress stands on the evil legs of the past and neither apologizes for its past, nor tries to break free of it. Current Congress leadership goes around pledging to take care of those supportive of RSS ideology once in power. The same Congress, Shah Commission observes in its report, arrested thousands under MISA during emergency, merely on account of their allegiance to the DMK. They are capable of repeating it again. They pretend that nothing had happened and they lie in connivance of a corrupt media, which whitewashes the past for them. They have no guilt either about their tyrannical past nor about their lies about their own past. As Lysander Spooner wrote, "Those who are capable of tyranny are capable of perjury to sustain it." Let us not pass off the arrest of techies of Bangalore as one off thing. The danger is grave, real and too close to be ignored.